Especially in summer I prefer pasta with different sauces. I do not use meat that often, but spinach, ricotta, tomatoes and prosciutto are used all the time. 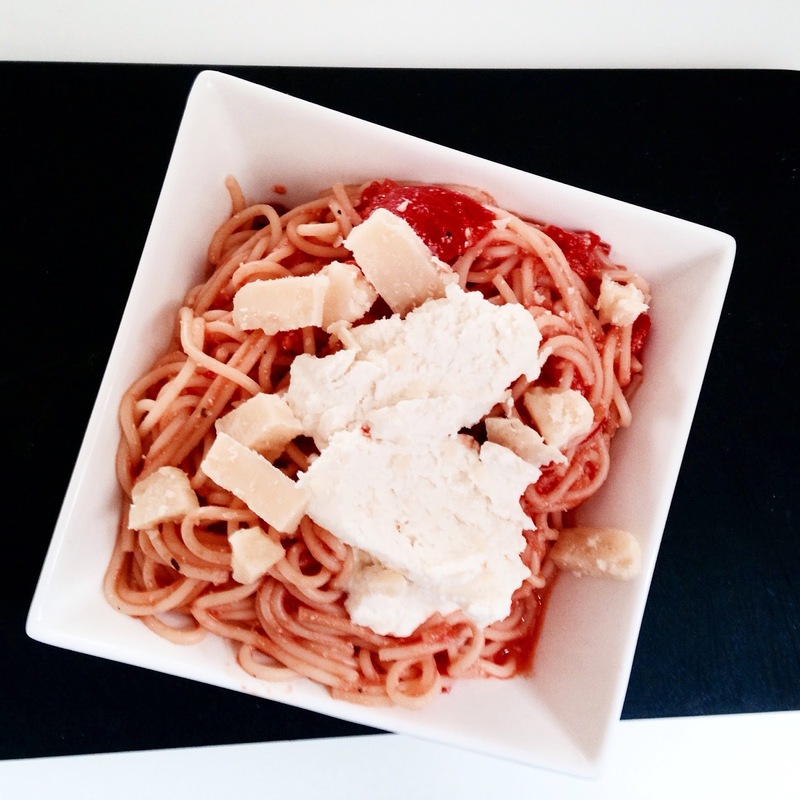 Recently I went to the italian store and bought spaghetti, Parmesan cheese, tomatoes and ricotta. At home I have mixture of Italian herbs and the journey could begin. Cook the spaghetti according to the instructions in salted water. Once someone told me that the water for the spaghetti should be as salty as sea water. Meanwhile, cut the tomatoes into pieces along with the garlic. Then mix already cooked pasta with tomatoes, garlic and herbs. Cook for a while. At the end add about 80 g of ricotta. 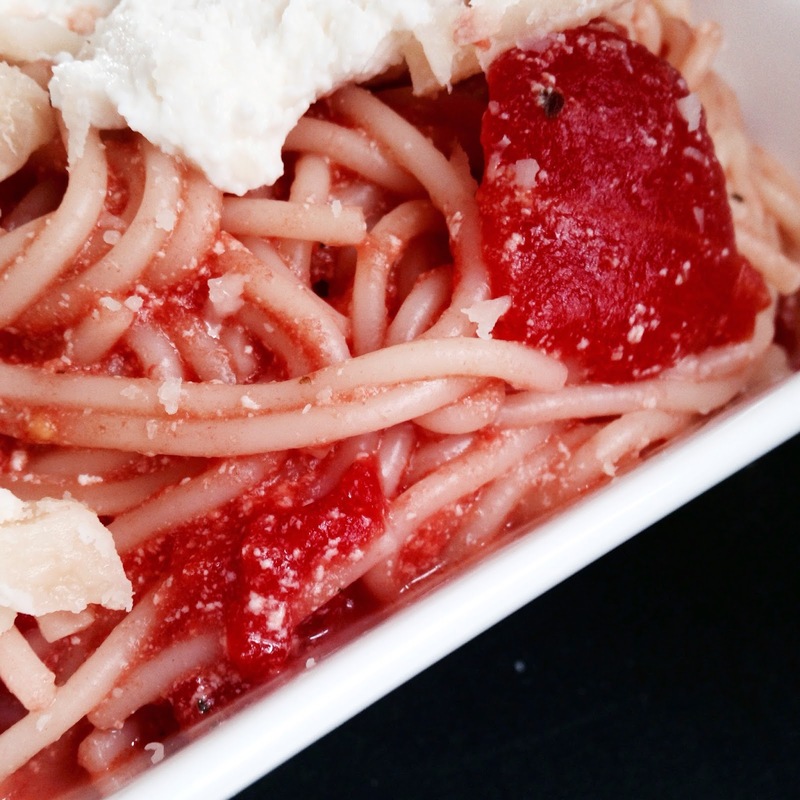 Divide the plates, add two teaspoons of ricotta on spaghetti and sprinkle with grated Parmesan cheese. 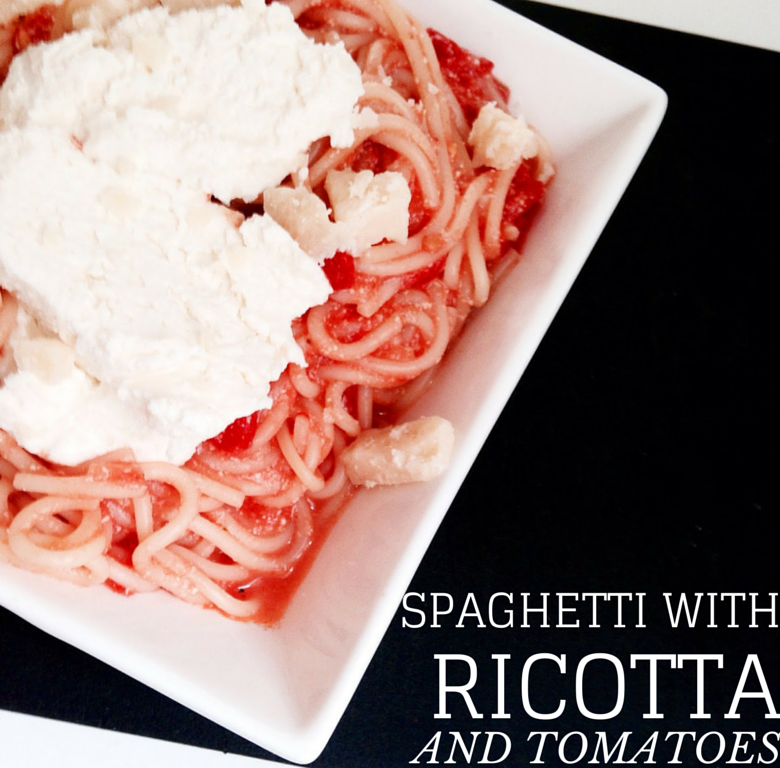 Italian dishes are amazing in their simplicity plus they taste great. 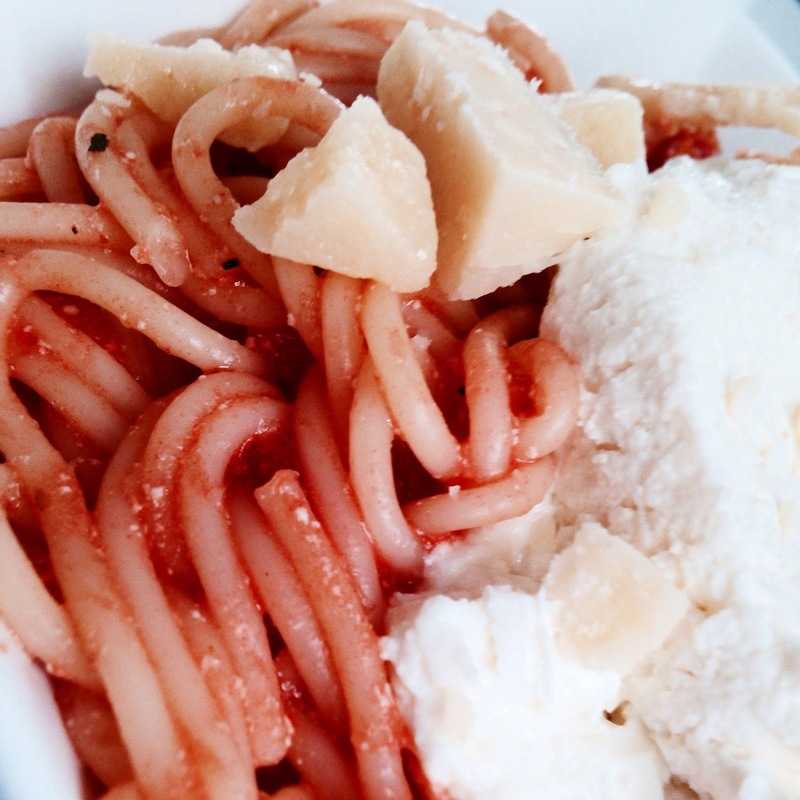 How do you prefer to eat pasta?